The area bounded in blue on the map shows the area covered by flood alerts and warnings for Chorlton Brook at Cheadle, Carrs and Stockport Road, Cranleigh Drive, Jackson Street Areas. 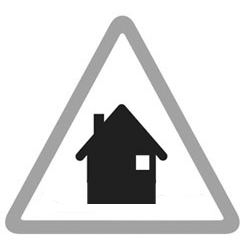 Areas at risk include properties on Ashbourne Burns and Byron Avenue and St Davids Roads, Shakespeare and Gladville Drive Anglesey Grove parts of Aber, Bangor, Boundary Road, Dryden, Lavington, Palmer Avenue and Gainsborough Drive. Areas at risk include the sports field , some properties on Aber Road, Emlyn Grove, Carrs Road, Palmer Avenue, Cuthbert and Stockport roads. State of the stats: River levels most recently updated at 9:15pm, Thursday 18th April, current data reliability 99.6%.